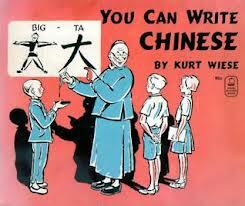 I would love to know more about author Kurt Wiese’s purpose for writing You Can Write Chinese, a 1946 Caldecott Honor Book. This German-born author/illustrator led a very exciting life of travel through much of the world. At the start of World War I, he was in China as a importer/exporter, but was captured by the Japanese, turned over to the British, and held in Australia. He eventually made his way to Brazil and then the United States where he took up illustrating and was married. This still does not explain the background for this story. 1. “Excellence of execution in the artistic technique employed.” – While the illustrations are interesting, I would not classify these illustrations as exceptional. 2. “Excellence of pictorial interpretation of story, theme, or concept.” – The pictures at the beginning of the story help to explain why these students are learning to write Chinese, but after the first few pages the reader only sees the words in Chinese. I would have liked to reconnect visually with the students and teacher at some point later in the story. 3. “Appropriateness of style of illustration to the story, theme or concept.”– While stylistically old-fashioned Chinese, these pictures are the story. 4. “Delineation of plot, theme, characters, setting, mood or information through the pictures.” – The plot is clear in the beginning, but lost after the first few pages. 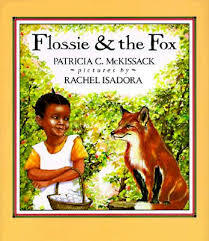 The theme, characters, setting, and information are well-explained through the illustrations. No mood is evident in this rather pedantic book. 5. “Excellence of presentation in recognition of a child audience.” – My children did not enjoy this book. Maybe introducing writing in another language before they have fully grasped writing English is just too much for them.